A new reality show, 'I Wanna Marry "Harry"' will feature 12 American women vie for the affections of a Prince Harry lookalike under the belief he is in fact the British royal. A new reality show will trick contestants into thinking they are vying for Prince Harry's affections. US channel FOX is producing a new reality show that will feature 12 American women competing to marry a lookalike of the red-haired royal, according to Deadline.com. The series, titled I Wanna Marry "Harry", is being produced by Ryan Seacrest - who presents American Idol and also produces Keeping Up with the Kardashians - and will be filmed at the palatial Englefield House in Berkshire, England. 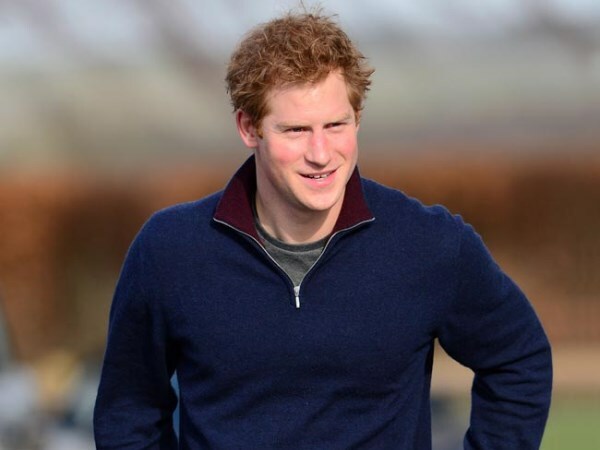 The competition will see 12 American singletons whisked to England where they will compete to win the affections of Prince Harry - however, the suitor is in fact a Harry lookalike named Matthew Hicks. Matthew must dress and behave like a royal in order to avoid detection from the 12 women and successfully convince them he is Harry (29). The series is being eyed to air in America in the summer. The real Prince Harry has recently sparked speculation he is to marry his girlfriend Cressida Bonas (25) having been seen out-and-about in public with the blonde beauty.